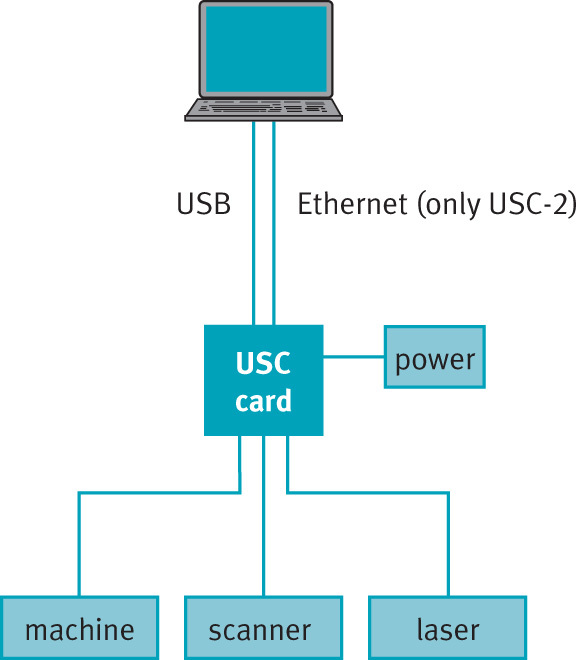 The USC cards are SAM compatible hardware modules for driving a 2- or 3-axes laser scan system. Due to their compactness and I/O capabilities the USC cards are easy to integrate and allow to control a complete machinery over a single communication line. Together with the Flash option, flexible embedded solutions can be implemented. Short execution cycle times make the USC cards perfectly suitable for high performance applications.